Interested in making your own fountain pens? We follow-up on our previous #asktpa with feedback from two just-getting-started pen makers. We also talk about the challenges of good mechanical pencil design, and pick the perfect pen for a Park Ranger. It’s new notebook day on the podcast, as Brad and Myke discuss a slew of new releases crossing our desks. Limited editions were also a hot topic, this week hotter than most with the launch of the Retro 51 “The System” rollerball. Brad and Myke are back from Atlanta and recap the best show ever. At least until the next one! We are live! Thank you to all of our Kickstarter backers for making this live episode possible. Listen in as Ana, Brad, and Myke discuss the Atlanta Pen Show and interview Jim Rouse from Franklin-Christoph and Lisa Vanness from Vanness Pens. Brad prepped for the Atlanta Pen Show by buying all of the things beforehand. Myke showed some responsibility by making a game plan for the show. It’s time to get hyped! Did you get your Bingo card before listening? If not, you know what to do for next time. Aside from filling squares, Brad and Myke discussed their current writing setups, new goods from Blackingwing and Sailor, and getting your nib ground. 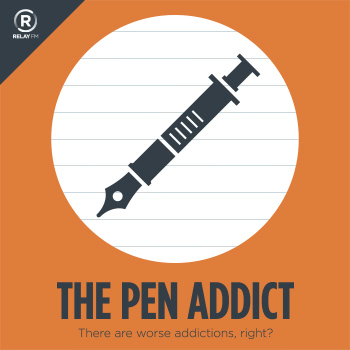 300 episodes of a podcast about pens. Who would have thought it? Brad and Myke catch up on all of the #asktpa questions they have been hoarding for weeks. And Myke finally paid the piper for his Pink Love. Brad recaps his trip to the Baltimore Pen Show. Did it live up to the hype? Myke discusses his journaling talk on Cortex, and gives a full review of the Kaweco GRIP for Apple Pencil. #297: Who's the Fool Now Steve? 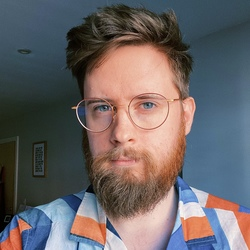 Kickstarter updates abound, with the Pen Addict project wrapping up, the Wancher project getting delayed, and a new pen project that made Myke’s eyes pop out of his head. Brad also gets overly hyped about the upcoming Baltimore Pen Show.